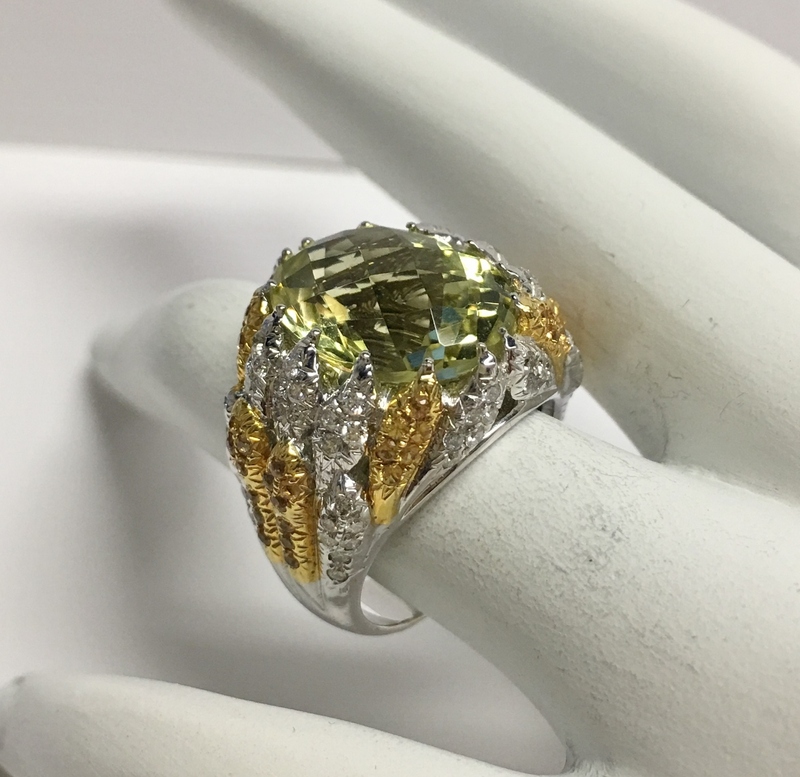 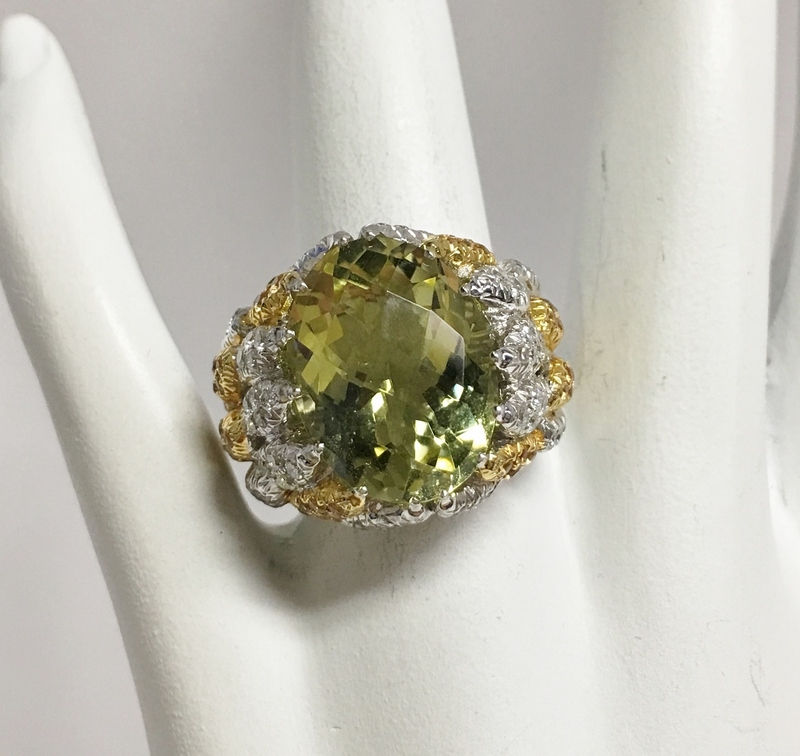 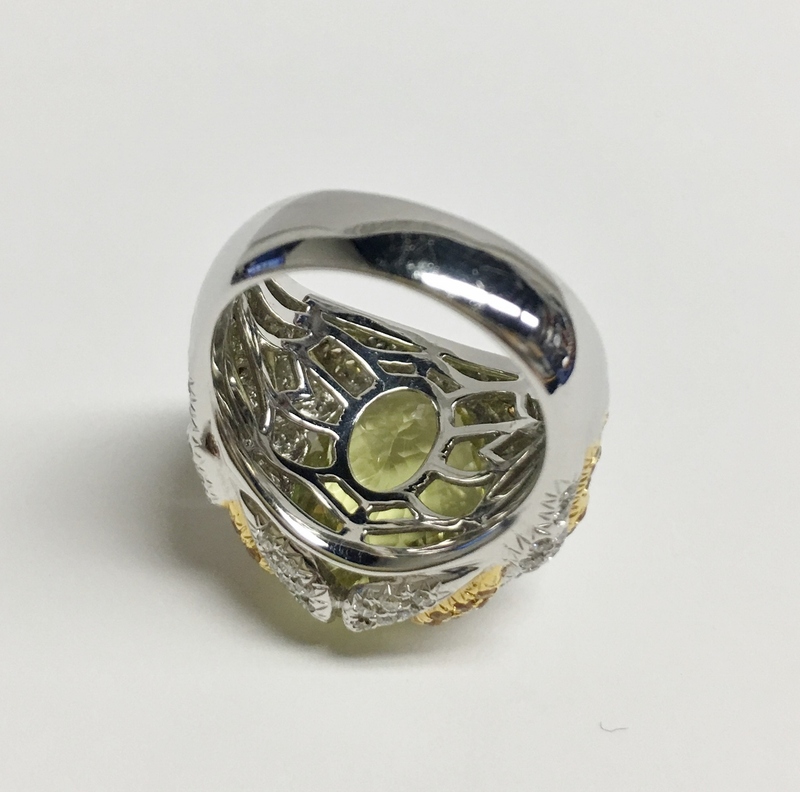 An 18K white gold ladys ring featured with an oval cut lemon quart in the center that weighs approximately 8.25 carats. 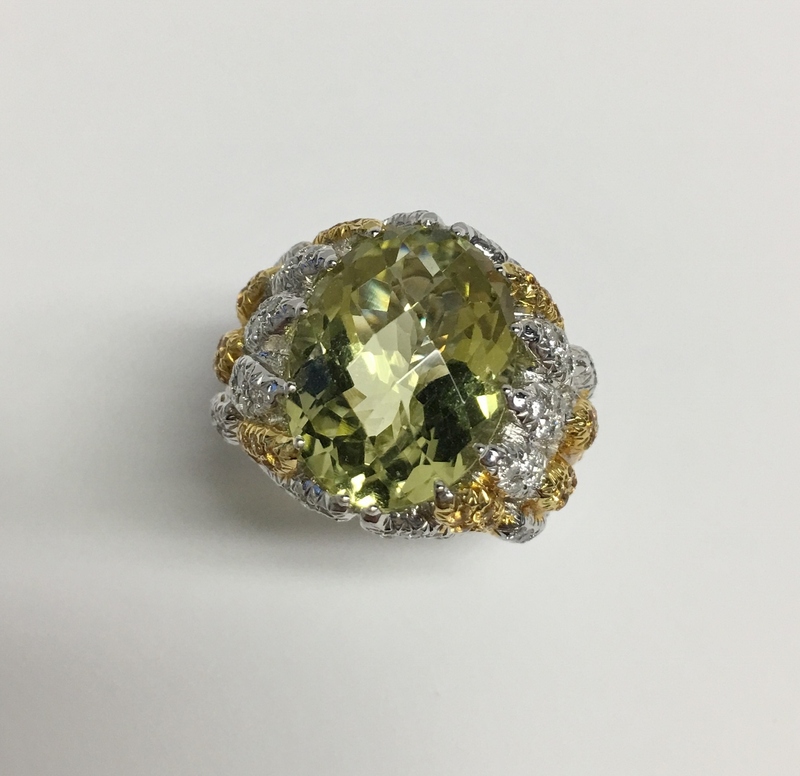 The ring also featured with 48 round cut yellow sapphires weighing approximately 0.65 carats and 74 round cut diamonds that weigh approximately 0.70 carats total weight. 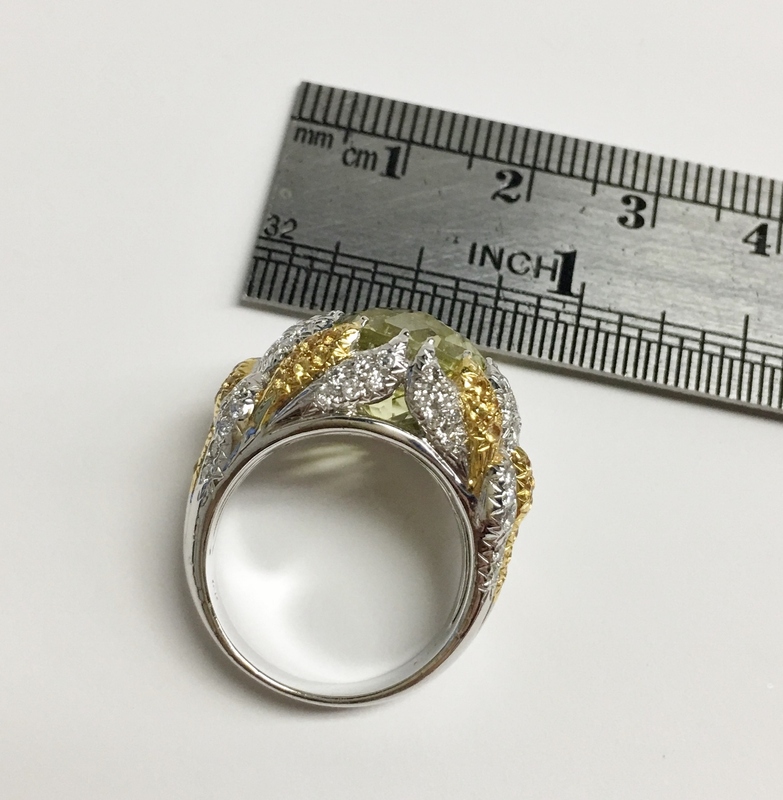 This size 6.5 ring weighs approximately 14.0 grams.